The Curtiss JN-4 "Jenny" two-seat biplane was one of the most popular airplanes of all time. It was the first mass-produced airplane and was manufactured in larger numbers than any previous American airplane. By the time of the Armistice in 1918, well over 6,000 JN-4s had been built. Jennys were used to train 95% of all World War I United States and Canadian pilots; flying schools in Australia, the United Kingdom and France also used them. 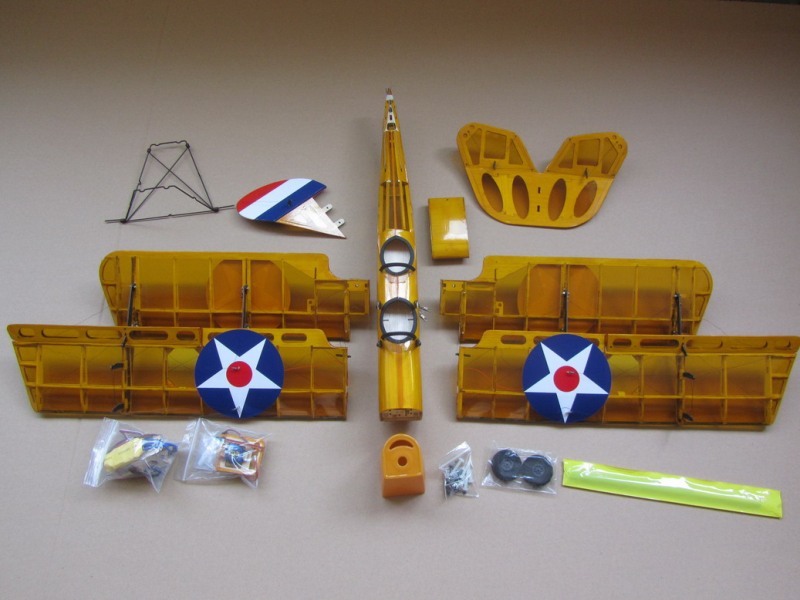 Sadly, as a consequence, nearly 20% of all Jennys ever built were lost in the course of flight instruction. For a brief time after the war, the U.S. Postal Service used a few Jennys for airmail service between Washington, D.C., Philadelphia, and New York. Ultimately, the thousands of surplus JN-4s in the U.S. were sold to private owners at bargain prices. Charles Lindbergh’s first airplane was a surplus Jenny – purchased in 1923 for $500. Many of these new owners used their Jennys to earn a living as stunt pilots. Flying from unprepared fields on the outskirts of towns, they thrilled audiences with daring exhibitions of wing-walking, aerial trapeze work, and low-level aerobatics. The barnstorming era helped awaken America to aviation. However, this post-war glut of low-cost aircraft effectively killed the market for new aircraft until the mid-1920s, as the supply of surplus aircraft finally became exhausted. Today, only about 50 Jennys survive in museums or in the hands of a few fortunate private owners. 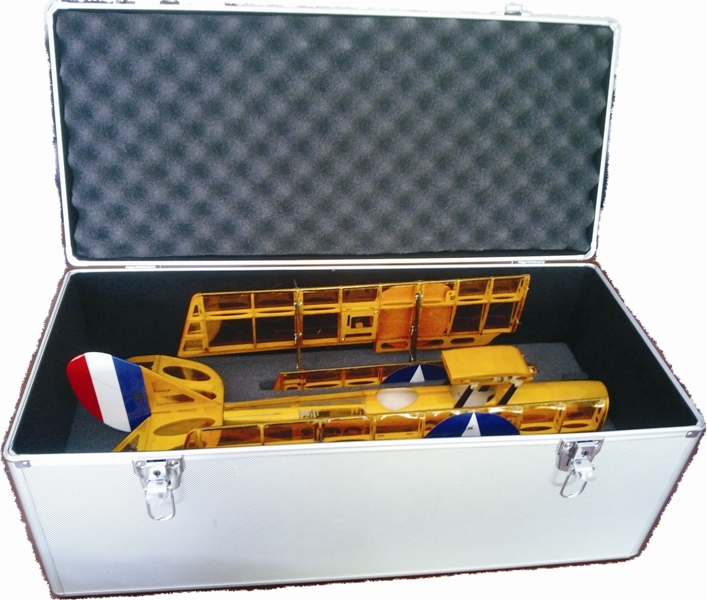 This luxury radio control RTF package is designed base on Maxford USA Curtiss Jenny EP 38" ARF. All electronics are pre-installed (battery not included). 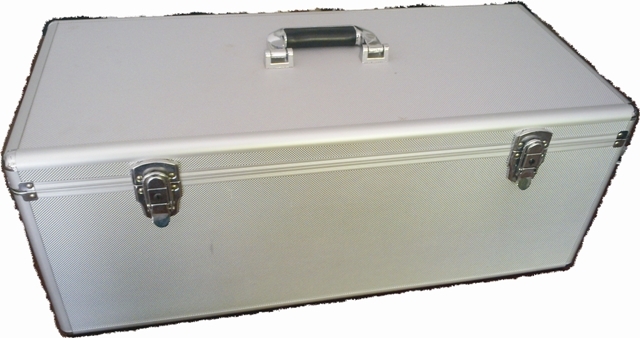 The complete RTF kit packaged in an Aluminum frame case and can be set up for flying at field in a few minutes. 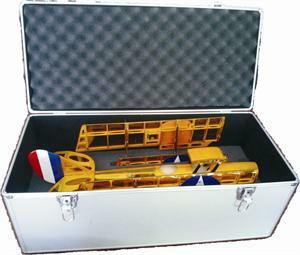 *This is NOT a toy style RTF plane, some final assemble and test are still necessary before flying. Battery is not included.